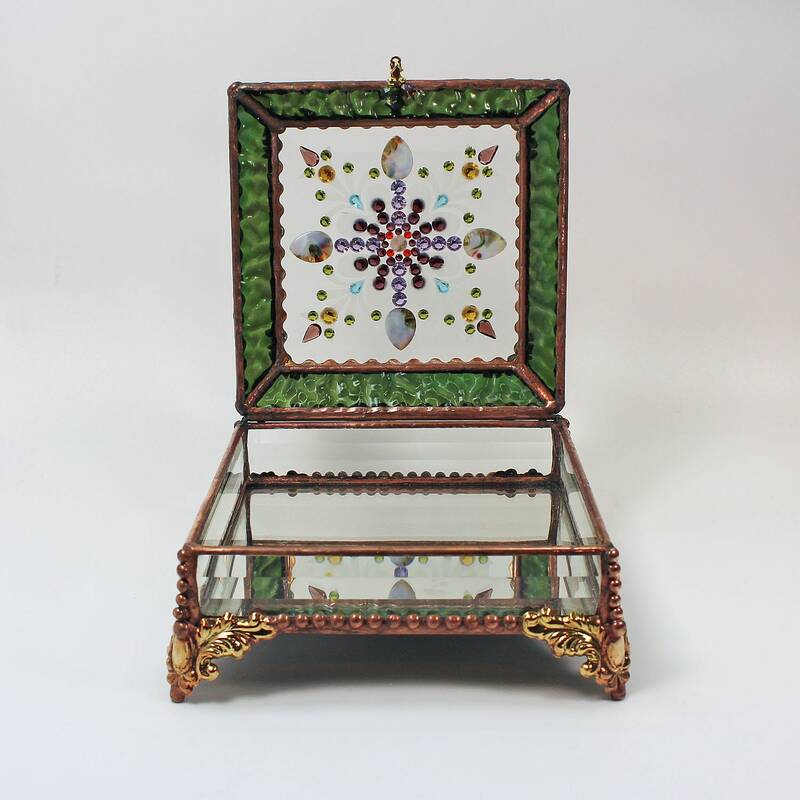 This Victorian inspired design is hand carved into beveled glass and then inset with 95 or more European multi faceted glass jewels. Many dating back to the early 1900's. 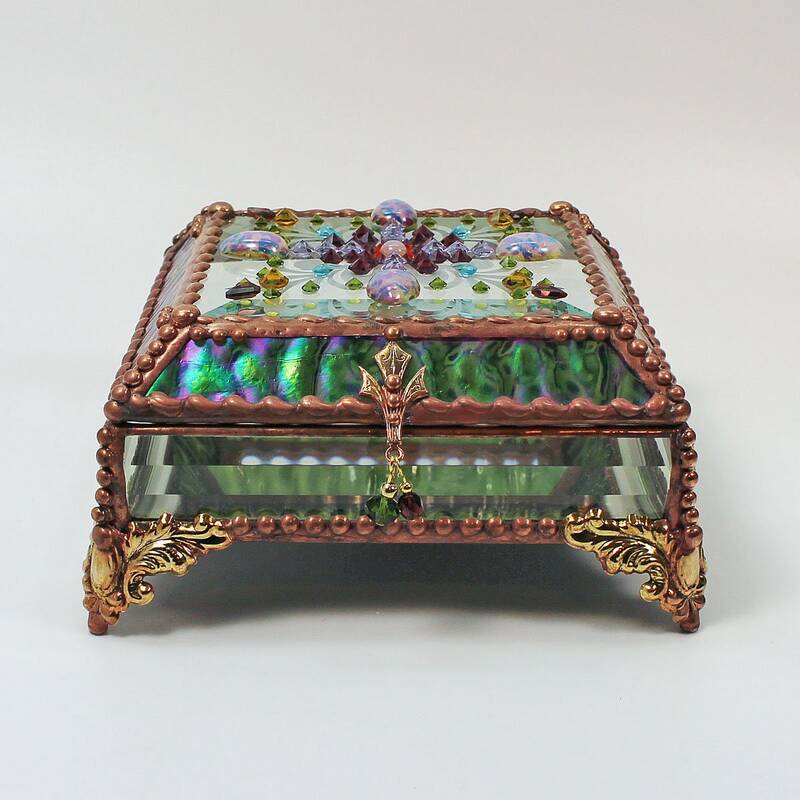 The bevel design is then surrounded by stained glass and extensive hand worked metal beading, bringing to mind the great detail of world famous Faberge eggs and uses many of the same techniques. 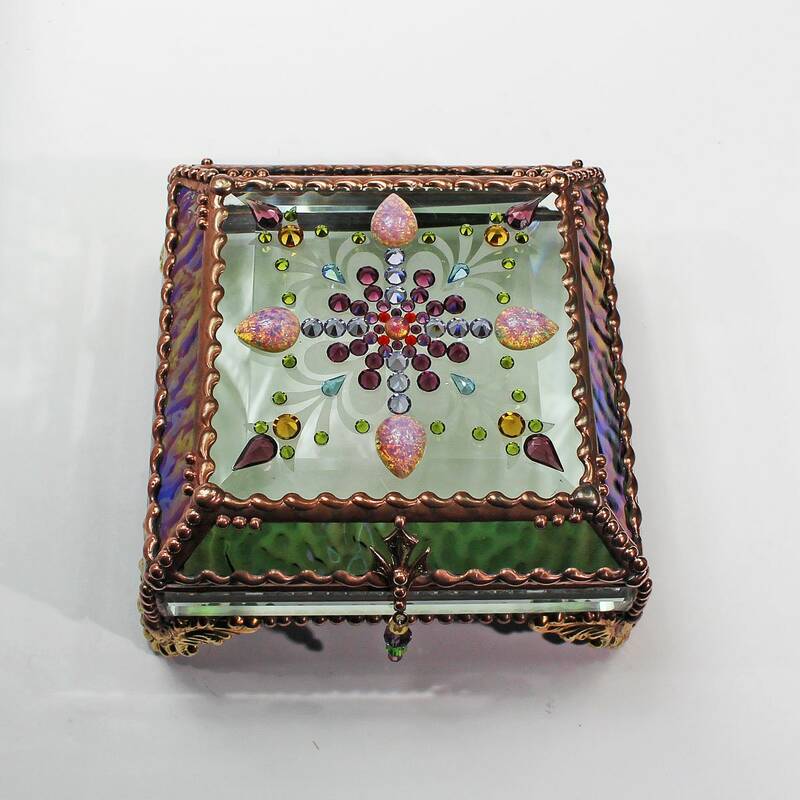 The unique shape of the lid is our own design. It is raised with angled sides. This not only enhances light reflection,it also makes it much more durable by dispersing pressure and strengthening the hinge.